Part of learning how to play bass is learning how to take care of your bass guitar, because, as the cliche goes, “If you take care of your bass, your bass will take care of you.” In order for your bass to sound good and to keep being playable for years to come, you must care for your bass and one of those necessary care things you must do is changing out your strings. There are a lot of things that affect when you need to change your strings: how often you play, the humidity of the place in which you store and play your guitar, how much you sweat, the quality of your instrument and your current strings. All of these things can affect your strings and as a result, the sound of your guitar. When to change your strings is also determined by your own personal sound taste and the type of strings that you have on your bass. Older strings sound different than new strings. New strings will have a crisp, full sound and allows you to produce articulated sound. However, old strings tend to produce a mellower, rounder sound. 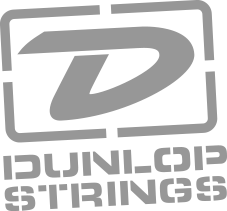 Though there are times when you must change your strings, which we will discuss in a later blog, when to change your strings can be based almost entirely on your preference or the type of music you play. As we mentioned above, there are a lot of things that affect your strings, how they sound, and their longevity. Even if you keep your guitar in the perfect environment and take the best care of it, when you play your bass, you are still exposing it to one of the most destructive elements: your fingers. Finger oil can cause your stings to corrode—depending on your chemical makeup and other biological factors, your finger oil and your sweat can be quite acidic. It’s not only your finger oil and sweat; as you play, your fingers shed old dead skin and other particles on your strings and bass, causing wear. To learn about clear signs that your bass strings need to be tossed, read our next blog post. Even if you don’t like the sound of new strings, unfortunately there are times, when you must say goodbye to those worn-in strings. Are you ready to play that bass riff that you’ve always loved? Or are you ready to finally get the band together? Low End University offers online bass lessons by Mark Michell and other pros. Each lesson is filmed in high-definition and from multiple angles so that you can truly see what your instructor is doing. Whether you invest in our basic plan or premium plan, you get unlimited access to lessons and can take your lessons with you no matter where you are in the world. Learn more about our online bass lessons here, and be sure to check out our YouTube Channel.